My name is Marc Rotman. I am a homemaker of nearly 12 years experience - only 8 years short of qualifying for a pension. My homemaking skills include making colorful salads and finding counters and corners of my house in which old papers can be piled, though some would say that my attention to laundering instructions on clothing labels is unmatched. To avoid sleeping, I play men's recreational league hockey for which games routinely begin at 10:30pm or later, typically on school nights. To hone my hockey skills and pass along life wisdom, I coach my son's 12U hockey team in the Riverdogs organization. I have found that 12 year old boys are the only people who understand my humor. 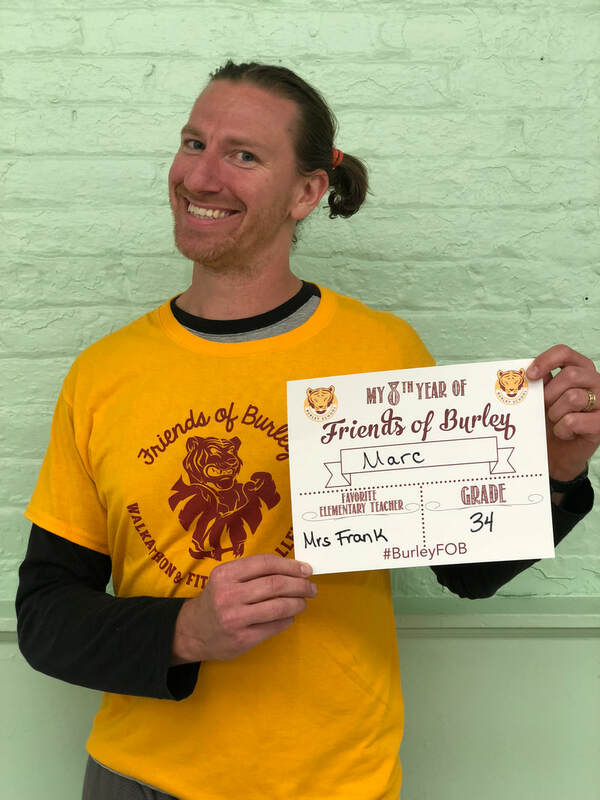 Friends of Burley has been a part of my life for eight years. While the meetings are exciting and the pay excellent, the appreciation in the faces of the students and their parents is what makes it all worthwhile. For that reason, I co-chair the Walkathon and Fitness Challenge committee, as well as the Knight In Shining Armor committee (see past board member, Kim Lero, for an explanation).